The new postpartum depression drug, Brexanolone (a.k.a Zulresso) is a huge step forward for maternal mental health care, so why am I not more excited? Recently, Sage Therapeutics announced the release of a new drug designed specifically to treat postpartum depression and the maternal mental health community jumped for joy. The drug is due to be available in June of this year, making it the first and only one of it’s kind. Now, don’t get me wrong, I think this is incredible forward progress for maternal mental health and commend all those who put so much effort into creating it. But after researching more about this postpartum depression drug, I have to admit that I am not nearly as excited as I was when I first heard about it. Here’s some more information about the new postpartum depression drug. It takes 60 hours to administer. That’s two and a half days. For a mother with children who are a bit older – that might sound like a welcome vacation. But for a women who has recently given birth? Not so much. Since the postpartum depression drug is recommended in the first 6 months postpartum, spending two and half days away from a new baby can be a difficult task to pull off. The good news is that Brexanolone (Zulresso) can work within 48 hours, so if you are able to manage the time away, then it could be worth it. It can only be administered in a hospital setting. The postpartum depression drug is given via an IV, which means that a woman will need to stay in the hospital for the full 60 hours and possibly longer if she experiences any adverse side effects. Considering that the US only has one perinatal psychiatry inpatient unit (a.k.a. mother and baby unit) in the entire country, this means that a woman will need to be separated from her newborn baby for an extended period of time. The hospital stay is necessary because a woman receiving the drug can suffer from such side effects as suicidal ideation or a loss of consciousness and therefore would need to be closely monitored. This could be a major setback for a mother who may have had a traumatic hospital delivery that triggered her postpartum depression to begin with. The price range for the new postpartum depression drug is between $25,000 to $35,000. And that’s not including the cost of the hospital stay for 2 – 3 days (or possible income loss and childcare cost during those days). For a family with accumulating medical bills after the labor and delivery, this is another burden on top of all of that. Even with a great insurance plan, Brexanolone (Zulresso) is such a new drug that you’d have to make sure it’s covered by your insurance, which is yet another hurdle to overcome. The high price tag and insurance red tape make the postpartum depression drug seem inaccessible to the vast majority of suffering women. The postpartum depression drug has not been tested in breastfeeding mothers, however it is confirmed that the drug does pass through breastmilk. It’s likely that, until further testing is done, mothers who choose to take the postpartum depression drug will be discouraged from breastfeeding. This is just a temporary situation, as mothers can pump and dump while being administered the drug in order to keep up their supply. But time away from a newborn baby before breastfeeding has been properly established can have a big impact on the overall success of breastfeeding in the long run. For a mother who is already overwhelmed by the pressure to breastfeed, this can cause an added amount of guilt and regret. It hasn’t been extensively tested. The clinical trials for the postpartum depression drug was run on a group of less than 250 women. Considering what we know about the different symptoms and ways that postpartum depression manifests, it just doesn’t seem like enough. In addition to the low number of women in the trial, there was only a slight difference in the effects felt by the women who received the dose of Brexanolone (Zulresso) versus the women who received the placebo. Read more details on the trials here. It’s great that the drug trials were conducted in such a timely manner, but it leaves me to wonder if there isn’t something they’ve missed. It can discourage other forms of care. A drug specifically to treat postpartum depression is not a cure for postpartum depression. I feel like a lot of people will be confused by that. Just like all other forms of treatment, certain things work for different people. In addition to medication, therapy is also important to help avoid relapses and tackle the root cause of the symptoms. And let’s not forget about the importance of self-care. As of right now, Brexanolone (Zulresso) has only been tested in single doses and the women who participated in the study haven’t experienced a relapse of symptoms. So there’s no evidence available yet on the long term effect of the postpartum depression drug. While the news of this new drug is fantastic, it’s not the one and only solution. Before a woman can even receive the postpartum depression drug, she needs to get a proper diagnosis. This is one of the biggest problems surrounding postpartum depression and should be where our focus lies. The screening process for maternal mental illness is not nearly thorough enough. And too many women slip through the cracks because their symptoms are not being taken seriously. So while a new treatment option for postpartum depression is wonderful news, it also shines a light on all the other places where our medical system is currently failing new mothers. The postpartum depression drug is just one step. Obviously, I am excited that progress is being made in the field of maternal mental health. Brexanolone (Zulresso) is hopefully the first in a long line of treatment options and better care for women with postpartum depression. While we may not be able to walk into our local pharmacy and buy a bottle of the magic postpartum depression elixir to cure all that ails us – it’s still a step in the right direction. And I look forward to a future where maternal mental health care is a top priority. Author Vanessa RapisardaPosted on March 29, 2019 April 18, 2019 Categories Postpartum DepressionTags does postpartum depression go away on it's own?, how long does postpartum depression last, how to treat postpartum depression, is it still called postpartum depression after one year, is there a cure for postpartum depression, maternal mental health care, perinatal mood and anxiety disorder, postnatal depression, postpartum recovery, what causes postpartum depression, when does postpartum depression go away, why do women get postpartum depression, why does postpartum depression last so longLeave a comment on One Year Postpartum and Still Depressed? 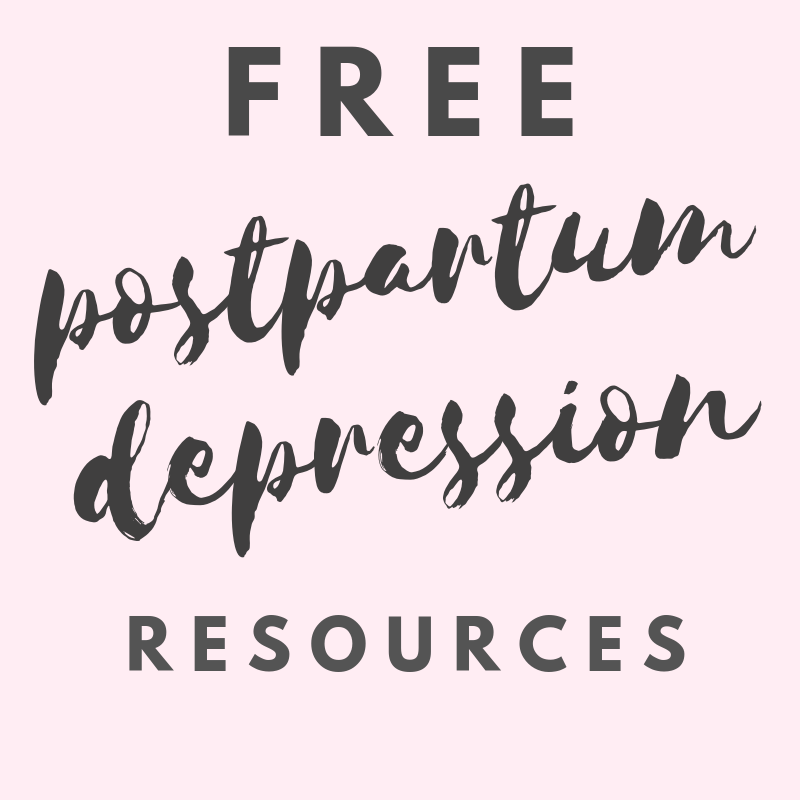 With the variety of different online resources available to moms with postpartum depression and/or anxiety, how do you know which one is the right choice for you? Thanks to the internet, moms suffering from a postpartum mood disorder can find help from the comfort of their own homes. From their cell phone or computer they can quickly and easily get in touch with someone who understands their situation and can offer advice and counseling. It might be a game changer for the mental health community but is online therapy the right choice for moms with postpartum depression or anxiety? One company, eVideo Counselor, is looking to make sure of it. Their success in helping veterans with PTSD and substance abuse patients find hope again, has led them to reach out to the maternal mental health community. I had an opportunity to check out their services for myself and discovered just how beneficial their services can be for moms with postpartum depression. Here are some tips to help you figure out if this is the right choice for you. *This is a sponsored post for which I received compensation. As always, the opinions in this post are my own. This post may also contain affiliate links. Furthermore, I am not a medical professional and nothing in this post should be taken as medical advice. I am simply a mother who has been there and lived to tell the tale. Moms are nothing if not thorough. When we got pregnant, we made sure to find the right doctor to deliver our baby and the right pediatrician to take care of them. And by “right” I mean someone that we trusted, were comfortable with and could talk openly to. So it’s a no-brainer that we look for the same qualities in a therapist. One of the biggest hesitations that moms have when it comes to online therapy is who their therapist will be. How can we trust this person on the other end of the screen who could be who-knows-where? Will it be awkward? Do they have real credentials? Is this all a scam? Thankfully, eVideo Counselor has taken away that uncertainty by guaranteeing that their counselors are all well trained and licensed, undergo thorough background checks and are consistently monitored to ensure high-performance. Most importantly, their video conferencing sessions make sure that you get the personalized face to face contact that a mom with postpartum depression so desperately needs. Your therapist will be able to read your body language and facial expressions in order to understand all the things that you want to say but just don’t know how to. At first, it might feel a little bit awkward. But eventually, video conferencing with your therapist will feel no different than meeting with them in person. All eVideo Counselor sessions are also HIPAA compliant, which means you can speak freely and openly with your therapist and know that everything you say is private and confidential. Therapy does not work for everyone. And sometimes it does work, without you even realizing it. At my very first therapy session nearly 7 years ago, all I did was cry for the entire hour. I felt like I had wasted everyone’s time. Little did I know, having a safe place to let all my emotions go was exactly what I needed. It was part of the healing process and put me on the path to recovery. One of the best things that eVideo Counselor offers is a system for measuring whether or not online therapy is working for you. Prior to beginning online therapy with an eVideo Counselor, you’ll be given a short online questionnaire. This is similar to the Edinburgh Postnatal Depression Scale (EPDS) that is normally used by doctors and care providers in the first few weeks postpartum, but more detailed. You will also be asked the same questionnaire halfway through your therapy sessions and at the end, to see how your answers have changed. There are additional and more extensive tests offered as well, but this system of metrics offers something that mothers with a postpartum mood disorder desperately need – validation. The tests can determine whether you are suffering from clinical postpartum depression or anxiety, or a combination of the two. For mothers who aren’t 100% certain of their diagnosis, or who might still be in denial about what they’re feeling, this is a huge benefit and step in the right direction. Your therapist will also go over your test results with you in detail. This additional step is unlike anything offered by a doctor’s office. Explaining why and how you answered the questions the way you did will give your therapist a better idea of how to care for you. They will also explain the significance of the questions and provide you with a plan on how to manage your symptoms. A legitimate company that wants to help you find healing and success will want to involve all aspects of your healthcare. Mental illness can cause a combination of physical and psychological symptoms. It’s important to have a team of medical professionals working together to provide you with the best care possible. eVideo Counselor has already thought of that and makes it possible for your therapist to coordinate with your healthcare provider. This additional service means there won’t be any surprises when you go into your doctor’s office, and you won’t have to repeat everything over and over again. This care co-ordination service is something that can help put an end to stories like Jessica Porten’s (a.k.a. the mom who had the cops called on her when she went to the hospital seeking help for postpartum depression). Having a licensed therapist vouch for your symptoms, plus have the test results to show for it, can make a difference in how you will be treated by the medical system. There is a lot of fear and stigma around maternal mental health, which is one of the main reasons why mothers don’t speak up about postpartum depression. Online therapy offers services that can help break down those barriers and encourage mothers to feel confident enough to speak up. In addition to the more common benefits of online therapy, such as convenient scheduling, anonymity and cost, eVideo Counselor offers extra perks that make therapy sessions more well-rounded. Because of this, they have lower no-show rates and higher success rates. But the truth is, if you really want to know if online therapy is the right choice for you, you need to try it out yourself. All it takes is a few short steps to get started with an eVideo Counselor right now. Click here to begin. With the baby blues occurring in nearly 80% of postpartum mothers, it can be hard to tell whether or not they are a cause for worry. The term “baby blues” is used to describe the flood of feelings a mother experiences shortly after giving birth. Between the sudden change in hormone levels, the extreme lack of sleep, trauma of childbirth and everything else that happens in the first few weeks postpartum, it’s understandable for a new mother to feel overwhelmed. The trouble with the baby blues is that they can often mask symptoms of a more serious condition such as postpartum depression or anxiety. While it’s common to brush symptoms off as normal motherhood, it’s also important to recognize the signs of something more dangerous before it gets out of control. Here are some warning signs that it might be more than just the baby blues. 1. You cannot sleep, even when you get a chance to. Insomnia is a common symptom for women with postpartum depression and anxiety but it’s extremely hard to diagnose in a new mother. The demands of caring for a newborn who only sleeps in short spurts can make it hard to track exactly how much sleep you’re getting. And not only does sleep deprivation cause a whole slew of other symptoms, but it often gets blamed for everything that’s wrong. One way to check and see if you’re suffering from insomnia is to track your sleep patterns. Just as you track how long your newborn is napping for, jot down when you went to bed and what time you woke up – or use a sleep tracker or an app. If you have the luxury of additional help, then try to sleep while they take care of the baby. Most sleep deprived mothers would jump at this opportunity to get in as much sleep as possible. But if you’re not able to sleep even when you get the chance to, then it could be a warning sign that something’s just not right. 2. You’re turned off by the idea of food. Perhaps there were certain foods that you didn’t like during pregnancy, which can be especially true if you suffered from morning sickness or hyperemesis gravidarum. But now that you’ve given birth and your hormones are starting to regulate, you should be able to resume your normal diet. If you feel no desire to eat, or if your favorite meals now turn you off completely then it could be a warning sign of postpartum depression. Bear in mind that this can also have the opposite effect, depending on your personality type. While some people cannot eat when they feel sad or depressed, others find solace in over-eating. If your eating habits have drastically changed, then the first sign would be a change in weight, but this is yet another thing that’s hard to diagnose in a postpartum mother. So pay close attention to your feelings about food and take note of whether or not they have changed. 3. You mostly feel nothing, as opposed to feeling everything. Motherhood is overwhelming, especially in those first few months. The baby blues are like experiencing a torrent of emotions all at once and being unable to contain them. You may cry simply because you need some form of release for all the intense feelings happening inside of you. But if you find yourself crying out of despair, it could be a different story. Postpartum depression feels less like actual sadness, and more like hopelessness, loneliness and emptiness. Instead of feeling “depressed” you may feel no emotions at all. When you feel “blue” take a moment to ask yourself why you feel this way. If it’s because you’re overwhelmed and tired and still adjusting to all the changes – then carry on. But if it’s because you feel like a terrible mother and don’t feel worthy enough to care for your own child, then it’s worth looking into. It can help to write your thoughts down in a journal or workbook to keep track of them. 4. You get angry very easily. Anger and rage are not common symptoms of the baby blues. They are more common in cases of untreated postpartum depression and postpartum anxiety. If you find yourself suddenly snapping at your spouse, kids or others around you, then it’s a pretty big warning sign that something else might be wrong. Untreated postpartum depression can build up, resulting in feelings of worthlessness and resentment. When we hate ourselves, we sometimes take it out on others. Like all mental illnesses, postpartum depression tries to alienate us from others and anger is one of the quickest ways to do this. Postpartum anxiety can manifest as anger and rage as well. It’s a way that our body loses control and can be a very dangerous symptom, especially when there are children around. 5. You feel less inclined to socialize. Like many other symptoms of maternal mental illness, being socially withdrawn is often a missed symptom. It’s perfectly normal for a new mother to feel protective of her child and want to keep them isolated for the first few weeks or months. A lot of parents also want time to spend bonding with their new baby in private, so when a new mother asks for no visitors for the first few weeks, there’s never much cause for concern. But once the initial “babymoon” stage is over and mom and baby have settled into a good routine, then it’s expected that they will begin to venture out into the world. It might be scary, especially for a first time mother, to try to manage a fussy newborn in public but many mothers will feel happy to finally get out and show off their new baby. If you find yourself locked up in the house and afraid to step outside with baby, or if you’re constantly avoiding anyone coming by to visit, then that could be a warning sign of something more than just normal new mom fears. 6. You’ve been feeling this way for longer than 3 months. The first three months postpartum are often referred to as the 4th trimester because it’s the period of time during which your body heals after pregnancy and childbirth. On average, the baby blues affects mothers within the first few weeks postpartum, so this means it could be longer for some. But mothers with the baby blues normally feel much more like themselves by the third month. Many women with postpartum depression or anxiety aren’t diagnosed until several months after giving birth. But it’s not because they weren’t experiencing signs and symptoms, its usually because they were in denial. Some will say that, in hindsight, they had all the symptoms from day one and just never knew it. While it’s normally best to seek help sooner rather than later, it’s also never too late to get checked out. Most maternal mental illness assessments end after the first 6 weeks, despite the fact that they can show up long after that. If you are at all concerned that your common case of the baby blues is something more than that, speak to your doctor or call Postpartum Support International for advice and information. What Happens When Someone Incredible Gets Postpartum Depression? We are all incredible people, no matter what our journey is with postpartum depression. Some women who end up with postpartum depression have battled mental illness their whole lives. Some may have gone through a depressed period as a teenager or following some tragedy in their lives. Maybe they’ve witnessed a family member deal with it, or experienced some kind of childhood trauma. PTSD can contribute significantly to depression and other postpartum mental health disorders. But others, like myself, have never faced a childhood trauma or battle with mental illness prior to becoming a mother. To go from living the “perfect” life to experiencing the darkness that is depression in such a sudden way feels like being buried alive. While I no longer struggle with depression on a daily basis, it’s effects remain permanently. I will forever mourn the loss of the incredible person that I was before postpartum depression took it all away from me. I used to be an incredible person. I had a really great childhood, with parents who loved me and loved each other. My sister was my best friend and confidant. Even as an awkward, mixed-race, home-schooled teenager, I never felt depressed or self-conscious. I embraced my differences, stood up for others and voiced my opinions. I loved to take care of people and when I started working, I delivered the type of customer service that got rave reviews. I worked jobs that I loved and was successful at them. I almost married the wrong man, but then met and fell in love with the right one and had a fairy tale wedding, just like a cliché romantic movie. We renovated a house in the perfect neighborhood and got a couple of dogs before a baby soon followed. Life wasn’t always perfect but it was pretty darn close to what I imagined “happily ever after” would be. Most of these things haven’t changed. I still have an amazing husband and a family who love and support me. I still have the perfect house with the two dogs and three kids. I still have success doing work that I find rewarding. Except that now, I have postpartum depression. It’s been 6 years so I doubt it’s even considered “postpartum” anymore, but I will always refer to it as that. Because until I got pregnant with my second child, I was anything but depressed. For the past 6 years, I’ve had to fight every single day to be the happy, incredible person I was my entire life. Things that came so naturally to me, such as talking to people or taking care of myself – are now things that I avoid at all costs. Shopping dates and salon appointments were something I looked forward to doing with my friends. I loved fashion and beauty to the point of vanity. But these days, I feel zero motivation to get dressed in the morning, so I wear the same sweat pants and stained T-shirt all week long. And when I do dress up, I criticize everything about myself. I count out grey hairs and wrinkles. I pinch the rolls of skin on my stomach and make disgusted faces in the mirror. Instead of styling my hair, I fantasize about shaving it all off. I can’t look people in the eye anymore, or make small talk with cashiers and servers. When I talk to someone on the phone I stutter and stumble and forget what I was supposed to say. I silence my phone when it rings because I need to work up the courage to take the call first. And if I see someone I know out in public, I duck and hide and hope they don’t notice me. I’ve never felt as much hatred for myself as I do now and I’ve lost all my confidence to postpartum depression. I feel sorry for the people who have come into my life only after the postpartum depression because they never got the chance to meet the real me. The fun me, who was hilarious and clever and the life of the party. The powerful me, who loved to debate about controversial topics. The competitive me, who hosted game nights and Rock Band showdowns. The inspiring me, who gave the best pep talks and listened to everyone’s problems with empathy. Those people will say that I’m still like that, but oh, if they only knew. Those who did know me before, walk on eggshells around me now, afraid of what might offend me or set me off. I make people uncomfortable with my presence, because no one is ever sure what to say to someone with a mental illness. I’ve forgotten how to break that awkward silence with pleasant conversation. Friends that used to come to me for advice just feel sorry for me now. They look at me and think I’ve let myself go… that I’ve given up. But what they don’t see is that I’m fighting a mental battle every single day just to survive. I loved who I was before postpartum depression. I was happy and fulfilled and determined before postpartum depression. I was a people-person, a social butterfly, an extrovert before postpartum depression. And now, I am merely a shell. I look the same on the outside, but inside I am hollow and empty. The amazing person that used to live in here is all shriveled up now, unable to move or grow. Life pushes me along like waves on the ocean, slowly rolling through the days and the months and the years. I try to stop it, try not to move forward, but there is nothing to hold onto. I am simply grasping at water. I want to stay still, I want to press pause. Can someone please put me in a glass box so I can watch life happen around me, without having to actually be part of it? Participating in my own life is exhausting. I don’t want it to end because there is a tiny glimmer of hope still inside of me. I hope that someday I will feel the desire to live again and then I can come out of my glass box. I hope that someday, I will be incredible again. Author Vanessa RapisardaPosted on January 3, 2019 April 8, 2019 Categories Postpartum DepressionTags depression and anxiety, depression and motherhood, how long does postpartum depression last, living with depression, mental illness, postpartum depression story, side effects of postpartum depression, what it's like living with a mental illnessLeave a comment on What Happens When Someone Incredible Gets Postpartum Depression?